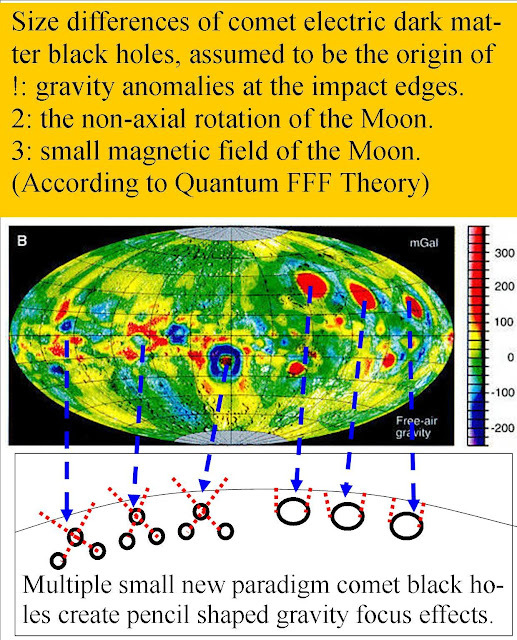 Gravity radiation point source lensing of multiple garvity point sources on Earth and Moon. 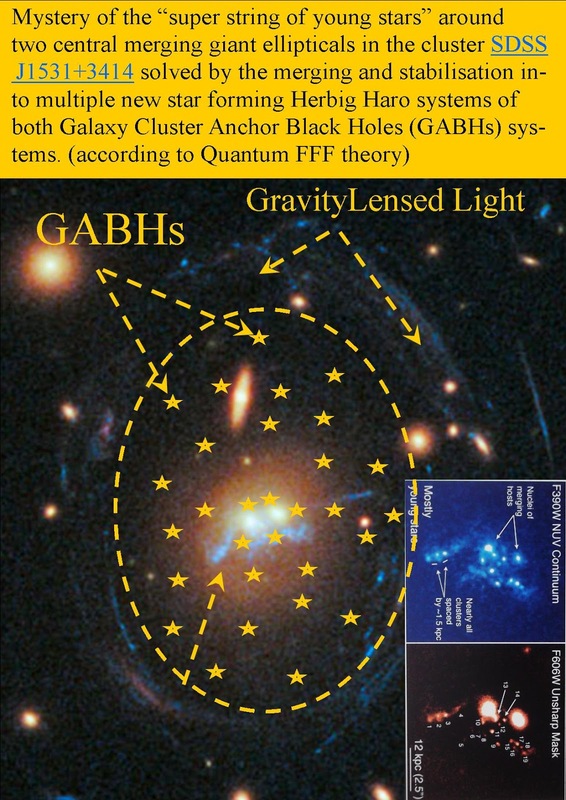 Gravity radiation lensing around multiple ( dark matter black hole) gravity point sources on Earth and Moon. 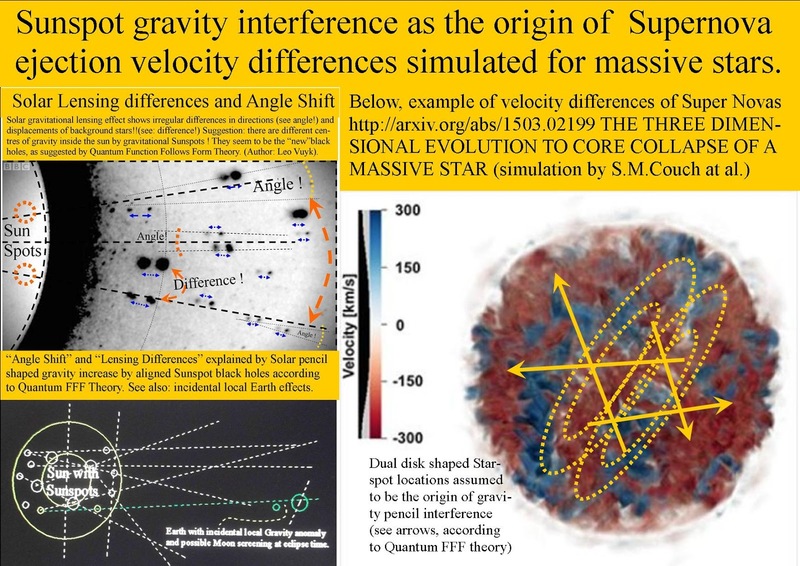 Gravity radiation lensing by pencil shaped focussing at Earth, Comet 67P C-G ( Sinkholes), the Moon ( gravity Anomalies), Mars, Pluto, etc. Sinkholes in Earth and Comet 67P C-G. originated by Gravity radiation lensing anomalies related to multiple micro-dark matter black hole configurations left behind by crashed Comets. 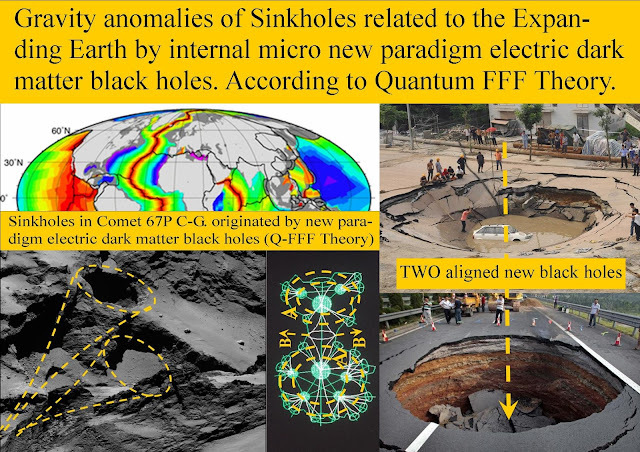 Also earth seem to have internal Black Holes.!
! : circular gravity anomalies at the impact edges. 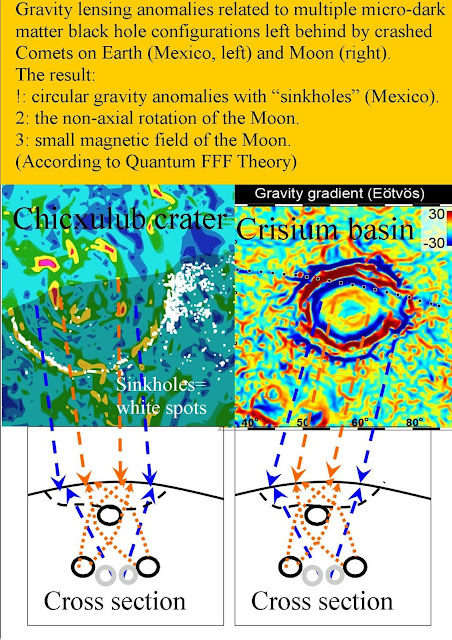 2: the non-axial rotation of the Moon. 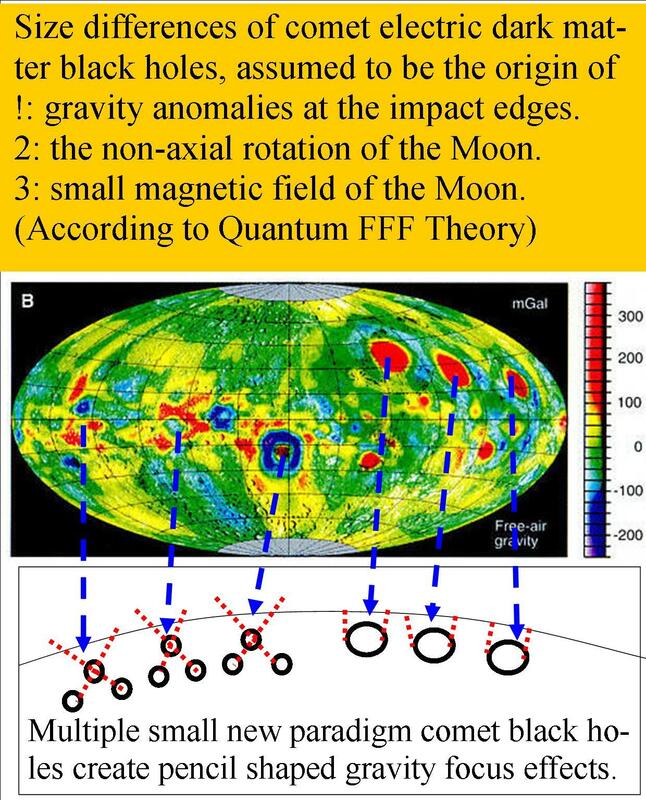 3: small magnetic field of the Moon.
! : gravity anomalies at the impact edges. 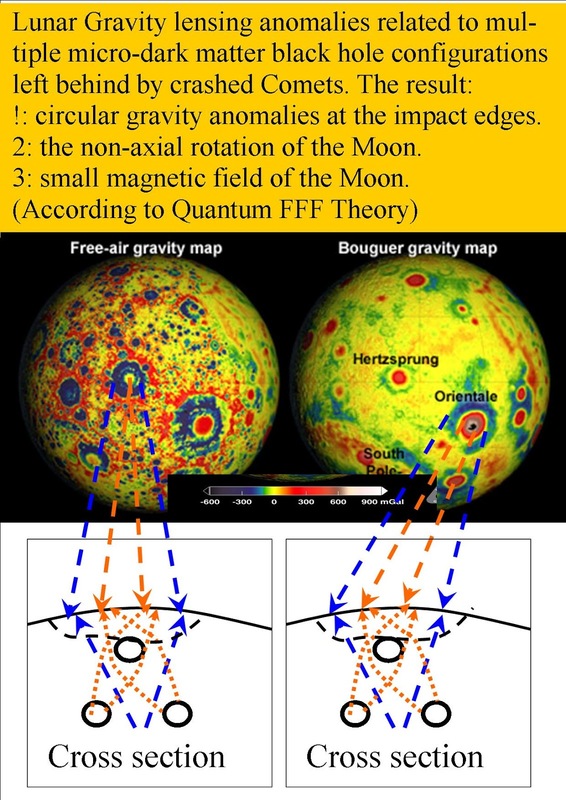 Lunar gravity radiation lensing in detail. 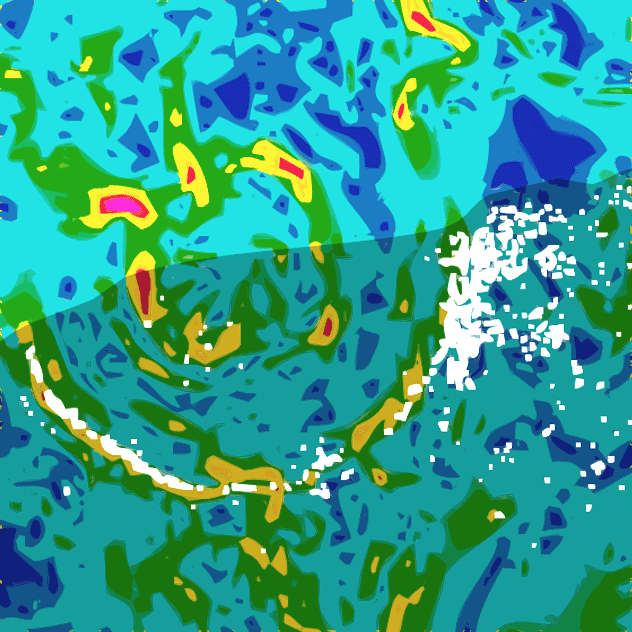 Even nebula seem to show such gravity effects in different expansion velocities. 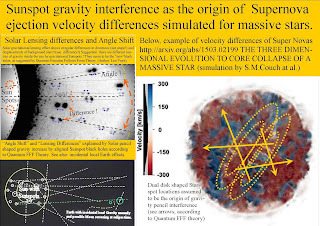 Sunspot gravity interference as the origin of Supernova ejection velocity differences simulated for massive stars. Geyser potency of Pluto and Cheron by internal zpe energy sources. 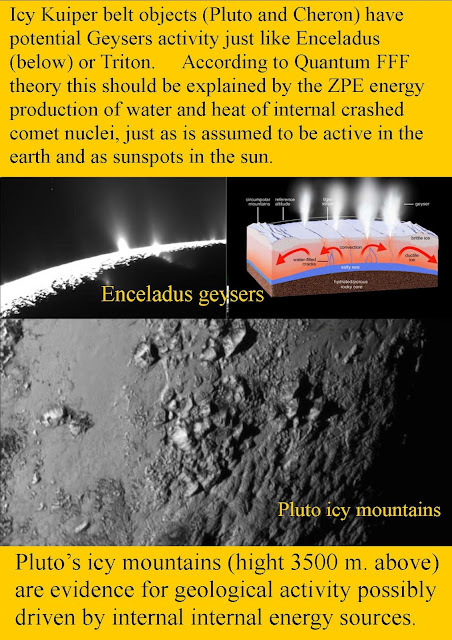 Icy Kuiper belt objects (Pluto and Cheron) have potential Geysers activity just like Enceladus (below) or Triton. 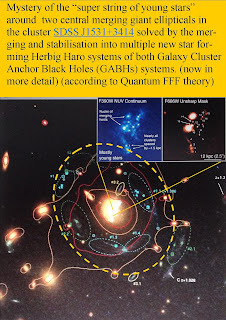 According to Quantum FFF theory this should be explained by the ZPE energy production of water and heat of internal crashed comet nuclei, just as is assumed to be active in the earth and as sunspots in the sun. Pluto’s icy mountains (hight 3500 m. above) are evidence for geological activity possibly driven by internal internal energy sources. 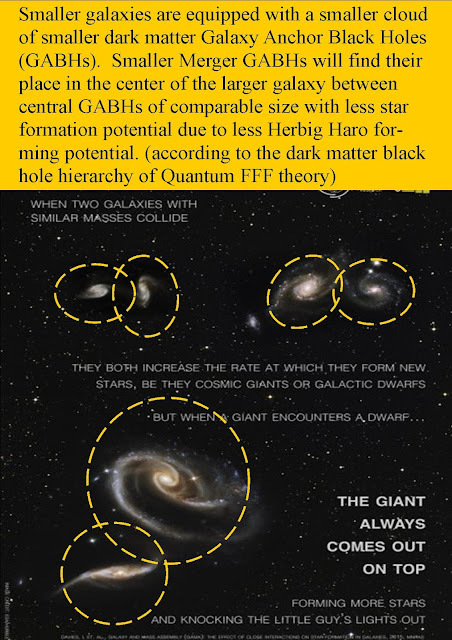 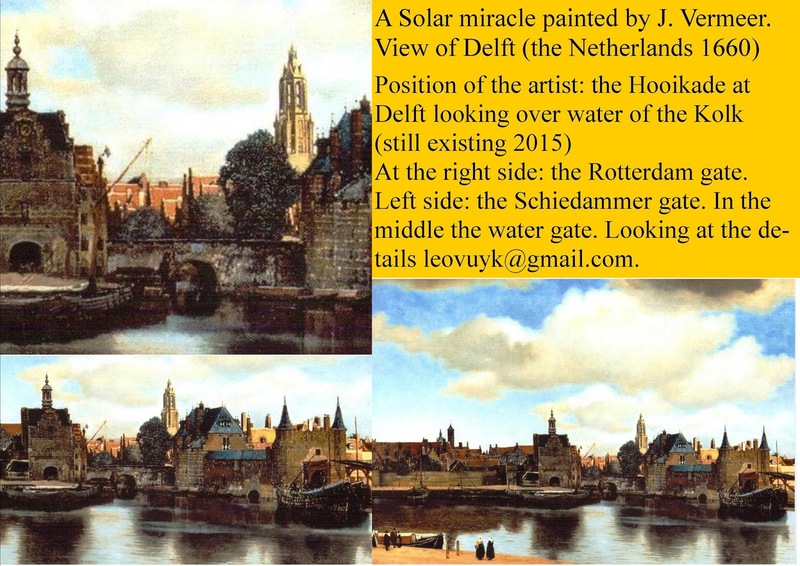 Looking at the details is important also in cosmology. 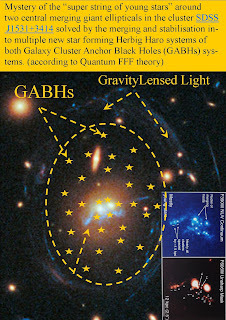 Galaxy Anchor Dark Matter Black Holes around SDSS J1531 3414.